Fall is in the air and I’m in the mood to break out the boots and maybe add a pair or two to my collection. I’m excited to feel the crunch of autumn leaves under the soles of my faux leather boots. I anticipate the sweater socks that accompany each pair on a crisp fall day. 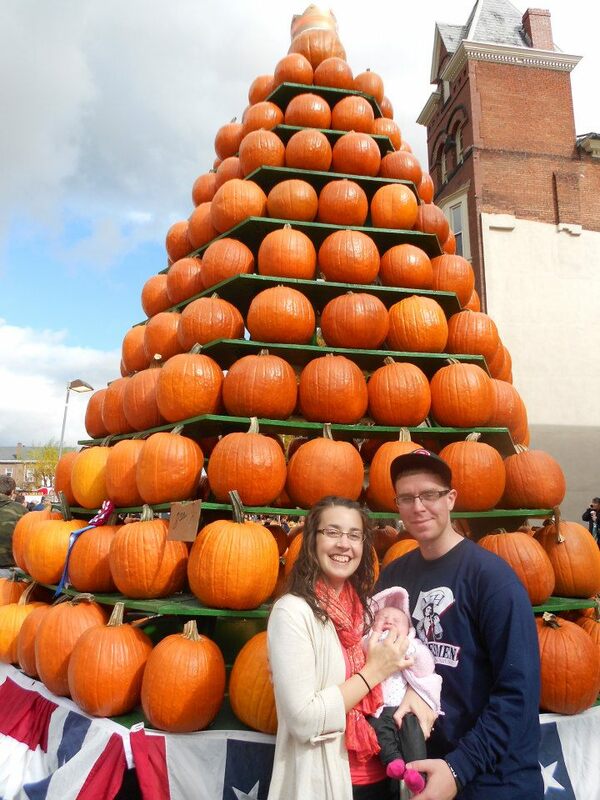 And more than anything I look forward to getting to tread the streets of my hometown during the annual Pumpkin Show. It’s only the Greatest Free Show (festival) on Earth! Fall means a lot of things to me, but one of the first things that comes to mind when fall is in the air is my hometown festival and all of the fun, food, and fashion that come with it. What is fall to you? This October I am planning to focus a little more on creative writing than I have on here in the past. I plan to publish one creative writing piece a week using snapshots from my iPhone 5s as my “prompt”. All of my stories will be approximately 1000 characters or less as I know some of my longer fiction pieces have gone unread simply because of their length. My goal is to become bolder in sharing some of my fictional work while also continuing to hone my skills. Feel free to leave me comments and ideas for future creative pieces! “Goodnight, Mom.” Charlotte called down the hall after her mother and watched as her mother’s dainty shadow passed through the doorway of her own Master bedroom. Once she had visual confirmation that her mother was safely behind closed doors Charlotte shut the large oak door to her own bedroom. She was finally able to extract the plan that she had so carefully laid over the past year. 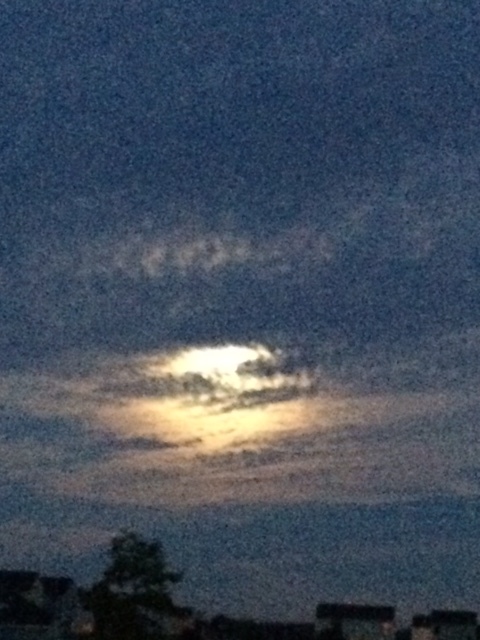 The sun began to fade and leave behind it’s print in the clouds above. She glanced out her second story window and back at the watch on her petite wrist. It was 10:15pm when she pulled a black sweatshirt from her closet and draped it around her shoulders. Fifteen minutes remained until she had promised Nolan that she would be at the football field behind the high school. That was plenty of time for her to shimmy down the tree that led from her bedroom window to the lawn below. “Here goes nothing…” Charlotte spoke to herself as she set into motion what could very well be her last moments in this house. As her feet touched the ground below her bedroom she took one last glance at the place where she had spent the majority of her seventeen years of life. The streets of Georgeshire were vacant and dimly lit only by the moon above. This New England town’s streets were lined with large Victorian homes filled with family heirlooms and endless secrets. Charlotte followed the sidewalk down the main street toward the high school being careful to stay out of plain sight and avoid being seen by any residents of the town. She found herself walking at a brisk pace that was beginning to resemble a jog. The high school was now within view. Before leaving school that afternoon she had taken notice of all the security camera points so as to avoid them during her escapade with Nolan that evening. As she rounded the corner of the building she clung close to the brick siding to keep from being caught on the camera. “Pssst….over here.” She heard Nolan’s voice through shrubs which lined the fence around the football field. Charlotte followed the sound of his voice and ducked into the shrubs along with him. She felt his hand grip her shoulders and bring his forehead to nearly touch hers. “Did you bring it?” Nolan whispered. She could feel his breath on her face as she reached into the pockets in her black sweatpants. Her hand retracted out of the pocket to reveal a small chip. Nolan took the chip from her rough hands and immediately plugged it into a device that he had been concealing. The mechanism was no larger than Charlotte’s cell phone. “Welcome, Mayor.” A female voice announced as the stolen chip was recognized by the device. “How may I assist you?” The robotic sound of the voice commanded an answer. “Open case #10247” Nolan spoke slowly into the receiver. Charlotte moved closer to Nolan so that the screen of the device was in view. A file was opened. A document came into view which held the signature of both Mayor Mendez and the County Clerk. “Is this?” Charlotte asked trembling with excitement. “I think so…” Nolan distractedly answered as he skimmed the document quickly. “What does it say?” Charlotte asked. Impatience had begun to overtake her. “It says…the evidence was inconclusive.” Nolan said pointing to a statement from the coroner. “It means that the coroner was not able to pinpoint murder as the cause of death.” Nolan clarified. “What does that mean for us?” Charlotte asked. “I think…” Nolan began. “I think we may be off the hook.” A sigh of relief quickly left Charlotte’s lungs. “I knew it! We were so careful. It pays to be attentive to detail” Charlotte proudly was referring to her role. The two began to embrace in the bushes outside of the high school. Their location was 100 meters from the place where they had first met over a year ago. Charlotte was practicing for the 200m Hurdles while Nolan leaned inconspicuously against a lamp post outside the track puffing on a cigarette. She had noticed him and decided to boldly pay him a visit and order that he take his “cancer causing habits” elsewhere. It was then that Nolan had fallen head over heels for Charlotte. In that moment he saw the missing piece to his puzzle. He had plotted against Celia Miller, the girl who had told their entire cheerleading squad about how he poured out his heart to her only to face an embarrassing rejection. Charlotte’s bold, eclectic personality was all he needed to carry out his master plan. One year later Celia lay in a body bag at the Georgeshire morgue while Nolan held the girl who had served as his accomplice. During that year Charlotte had lost track of her own dream and aspirations. She had fallen further and further off track the more time she spent with Nolan. He had a way of getting her to do just about anything he asked. Charlotte was enveloped in his edgy charm and tendency to go against authority. She didn’t think twice when he asked her to break into the Mayor’s office to retrieve a top secret microchip containing some of the most classified files in the county. As the two sat in the shrubbery they were so focused on their feelings of invincibility and the thought of getting away with murder that they were oblivious to the police force that was now nearing them. The tracker on the microchip had led the police right to the culprits. The police chief bent over and pulled back the branches to reveal an entangled pair of teenagers. The couple was left aghast as they noticed the police pointing their weapons at them. It is unlawful to plagiarize any of the original work from The Ameri Brit Mom. Always give credit where credit is due. 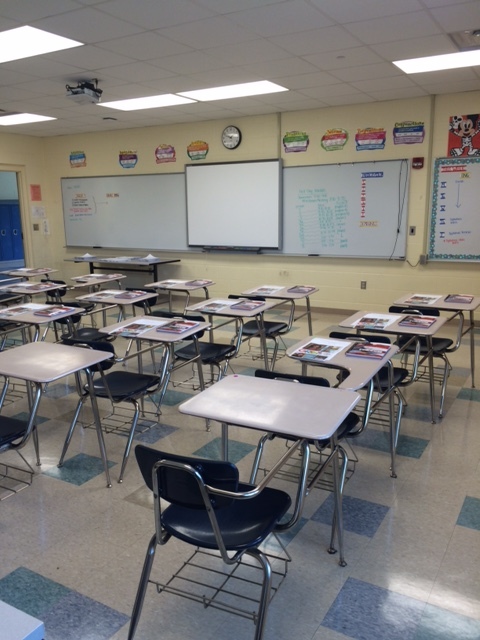 It’s been some time since I’ve written about what is going on in Mrs. Sisley’s classroom. So in case you were wondering the year is off to a great start and I’m excited to share a little bit. Currently, I am teaching six classes. In the mornings I have three English 9 classes one of which is an Inclusion class. During the afternoons I teach three Honors World History classes. This is the first school year that an Honors History course has been offered since I’ve been working in my district and I’m thrilled to get the privilege of teaching this course. In history we have familiarized ourselves with GoogleDocs and the submission process through several assignments. They have completed the first of nine Current Event projects, written an article about the construction of the Palace of Versailles and taken their first test over the Age of Absolutism. I’ve been really pleased with my honors students and their drive to meet the high expectations that I have set for them. I’ve asked for quite a lot to be done in the first month of school, but for the most part they have risen to the challenge. This week I am braving new territory and assigning my first ever debate in my Honors World History classes. We are currently learning about the Enlightenment and the impact that this time period and its thinkers have had on our world. I have chosen to center a debate around the ideas that we are learning in class. I’ve also researched many different debate methods and have chosen to use a Team Policy Debate format since this is their first formal debate. The students will be assigned to a partner and position. Their goal will be to argue for or against a specific idea that came out of the Enlightenment. I have modified the time restraints for the Team Policy Debate for this first debate to last only twenty-four minutes (essentially halving the time allotted for each segment.) I’m a little nervous that debates could become chaotic, but sticking to a format should help with keeping things professional and moving at a quick pace. I’m also allowing the students to use pre-made note cards to direct their points in order to promote research and use of data to inform dialogue as opposed to feelings and thoughts of the students alone. The purpose of this activity is to give the students an opportunity to perform research and put into the practice the principles that we are learning about in this unit. I have three classes of highly intelligent and opinionated people that make me eager to try this activity. If you are a teacher and have used debates in your classroom I’d love to hear from you! What went well? What was a challenge? And any other advice you may have. I love my job, my students, and my calling! Do you ever struggle with doubting God? I will assume your answer is yes, because it is human nature to doubt God at times. Some of us may find ourselves doubting God in the big stuff like salvation or His ability to bring healing. Others of us may doubt God when it comes to the day-to-day issues in our lives. My latest doubts would include the doubting of my calling. Why do I always begin to question the things that I know God has clearly called me to do? I’ve been in a place over the past couple of days where I’ve truly struggled with the question, “Am I truly called to lead and advise the Fellowship of Christian Athletes at the high school where I am employed?” despite the fact that God has proven faithful to me time and time again in this ministry. I had found myself in a place of exhaustion and dealing with a lot of planning for an upcoming FCA retreat (the most stressful event of the school year for me.) I know that event planning is not my strength. I learned that in college while working for the Office of Advancement and planning so many fund raisers. It was a lot of fun, but definitely not something I feel called to do. As I questioned my position with the FCA and whether or not God had really called me to fulfill the responsibilities of advising a group of seventy high school Christians God reminded me why He has placed me in this position. When I was exhausted from all the time that goes into planning and executing weekly meetings as well as the upcoming retreat God gave me a message to renew my purpose. This message came in the form of an encouraging letter from a parent. This week when I was in need of reassurance I walked out to my mailbox and found a letter from a parent of a student involved in the ministry. In this letter the parent expressed their gratitude for my role and explained the impact that this group is having on their son. This was a parent who also is an administrator in the district and whose opinion and wisdom I truly respect. The letter brought me to tears as I received it exactly when I needed it. I hate that in this scenario I had become a doubting Thomas. I had forgotten my purpose and focused on myself and my weakness. Alone I could never balance the role of advising a large club with all of the other demands of life, but over the past five years God has truly given me strength and worked through this club. Sometimes I surprise myself with how short-sighted my memory can be. It just takes a look back at the many ways that God has provided for and worked through this organization to remember that He ordained me for such a time as this. From what I’ve heard doubting your calling when you are in a place of ministry is pretty normal. We pour ourselves into our ministries and when we don’t see the results we pray for it can easily become discouraging. I’m learning even after five years that God’s plans don’t always align with mine, but His plans are always so much better than my own. Doubt is a natural step in the believing process. 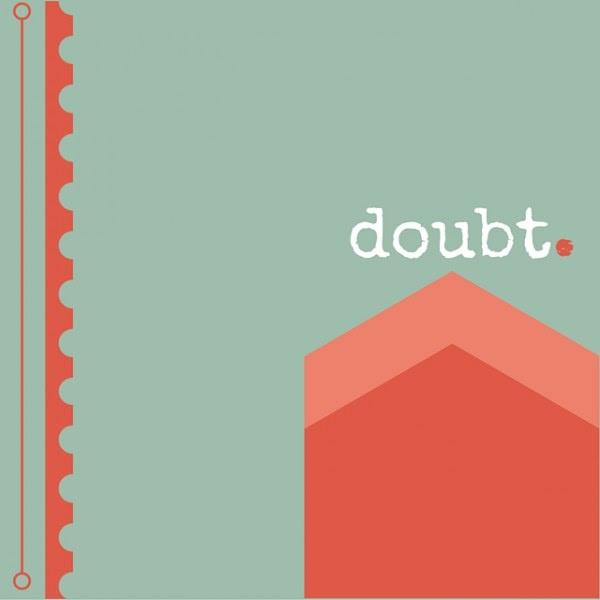 Doubt helps bring us to a point of faith. Doubt calls into question ourselves and can actually be beneficial for getting our eyes off of ourselves and back on God. We were not created to fulfill our purposes in our own strength. God is almost always the missing piece when we find ourselves in doubt. This is the final installment in the writing link-up: On Being a Writer on Kate Motaung’s page. These discussions have been centered around the book, On Being a Writer by Anne Kroeker and Charity Singleton Craig. The final topic is limit. One important lesson I am learning about writing is the necessity of setting limits. Life is full of demands and we must all learn the power of setting priorities if we are going to be successful at anything in this life. I’ve learned that I need to limit my time spent doing any single thing in order to maintain a healthy balance. I have goals of writing for thirty minutes a day whether that be blogging or journaling. I’ve set aside two hours every weekend to solely focus on my novel writing, but the daily practice of blogging and journaling is helping to push me toward further writing goals. In order to execute these goals I also must limit other things in my life. God and family are my top priorities and if I am going to accomplish my potential in any area I must set aside time to focus on those two things. As a family, we have set aside Thursdays as family time. We vowed to not make plans on Thursdays so that we have that day of rest. Some days that means even cutting out my writing time. In order to be productive at writing my mind must be at ease and that doesn’t happen readily when my mind and body have been going at warp speed for days on end. Instituting a family night at home (most likely watching Netflix) has helped me to stay sane amid the constant pull for my attention elsewhere. Take time for you. Take time for top priorities. Everything else will prosper when you take time for these. It is officially fall now and so we’re on to one of my favorite fashion seasons of the year. 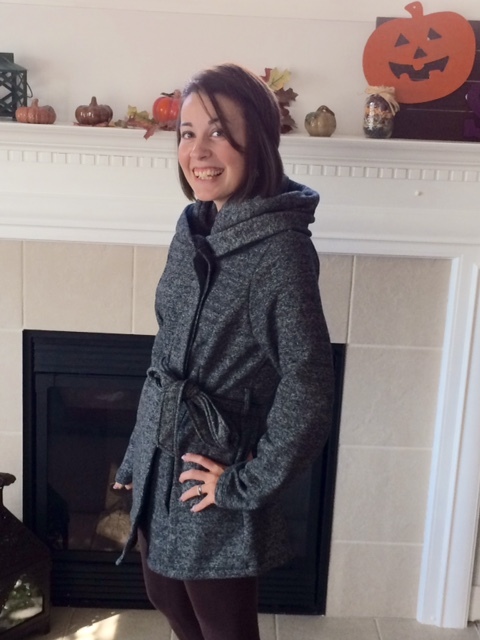 I love everything about fall fashion: boots, leggings, scarves, jackets, sweaters, and cardigans. A few months ago I was thinking about fall jackets and realized that I have neglected to buy myself a jacket in five years and all the ones I own are old and worn out. So I had been on the prowl. As the shops began to put jackets on display I caught myself stalking my prey. Until last weekend I still had not found the perfect jacket for me. All of that ended when I walked into Target. I gravitated instantly to a cute, unique, black fleece jacket. I imagined how adorable this jacket would look paired with leggings and boots and then I was hooked. I checked the price tag and found out that the cost was $44.99. It was a decent price, but one that I walked away from at the time. I snapped a picture of the jacket tag on my phone for later reference, but convinced myself to return to the original purpose of this shopping trip: diapers. The next day, I sat reading a book and my mind wandered back to the jacket. I grabbed my laptop and headed over to the Target website and pulled up the jacket using the picture of the tag I had taken. Lo and behold, the jacket was on sale for $30.00! I didn’t need any more convincing that this was destined to be mine. I added the jacket to my online grocery cart and within minutes I had purchased it. Two days later the anticipated box arrived bearing the jacket I had gifted myself. I tried it on and fell in love all over again. 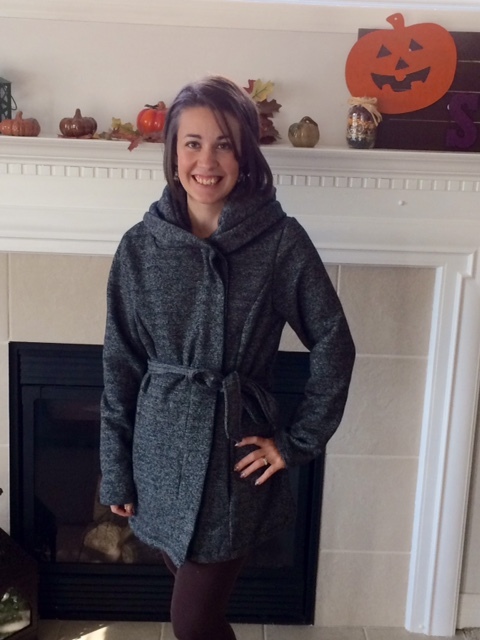 The inside is lined with fleece and is so comfortable and cozy. Now, all I’m waiting on is the weather to cool down a bit so that I can head outside in my new jacket! Encouragement is a big deal. Encouragement can turn a rough day around and make someone who is struggling realize that their situation is really not the end of the world. Encouragement can point someone to Christ and better yet show them an example of what Christ is like. Encouragement offers hope and speaks life not death into the minds and hearts of those around us. However, if encouragement is so full of life why is it so hard to do? Why is encouragement so easy to hear, but so difficult to speak? It may be that in order to feel equipped to encourage others one usually is being encouraged in their own life in some way. It’s like a chain reaction. If we don’t feel encouraged ourselves it makes it difficult to help another feel this way. Lately, I’ve been trying to make a conscious effort to speak life and encouragement to the people around me. A lesson has become clear to me in this process: in order to encourage others it also takes me encouraging myself. In the past, I’ve dealt with a negative attitude especially toward myself. God is truly reshaping my perspective and helping me to see that before I can encourage the people around me I must also speak encouragement to myself. He’s put people in my life who encourage me. Friendships have been formed on the foundations of faith and encouragement and I’ve been blessed endlessly by these people God has placed in my path. We have to be cautious that we aren’t motivated solely by the encouragement of others. That is setting ourselves up for failure. People will never encourage us enough to keep us motivated to do good works so our encouragement must rest with God and ourselves. It’s really important to understand the consequences of our words and actions to ourselves and those around us. What we think may be an small negative comment has the potential power to destroy. Our words can give life or take it away. As for me, I choose to have my words be life-giving. Today I challenge you to make a list of people in your life who offer encouragement to you. Beside each name write one way you could encourage that person as a “thank you” for all the positivity they bring to your life. Maybe that means writing them a letter, picking up a coffee for them, or spending a few moments in prayer with them for something they are going through. Whatever challenge you decide to take on I pray that you are encouraged in turn! I’ve had a busy schedule as the school year has begun. I’m still working on a way to be sure not to lose my writing momentum that I worked hard to create over the summer. It’s insane how quickly demands can add up, but it is important to take time to rest. Without adequate rest one is prone to burn-out and more susceptible to illness. Neither of these conditions are things that sound appealing to me so as the first few weeks of school have come and gone I’ll admit that they came with a little rest from the regular schedule of writing. I’m looking forward to getting back on track in the next couple of weeks and plan to return to my regular routines fully by October. One thing I’ve learned from my journey of writing, however, is the importance of rest. If I’m not well-rested my brain turns to mush. My words are futile and I can spend an hour staring at a blank screen. My purpose is weakened and my desire to pursue my passion wanes. Rest is one of the key components to writing, at least for me. I’ve also been learning not to be too hard on myself. I set goals that I always intend to attain, but sometimes life gets in the way and that is okay. Writing is a passion and a purpose of mine, but it ultimately doesn’t define me. There are days when my writing must take a backseat to real life, relationships, and rest which I’ve come to accept as okay. One goal of this blog is to write routinely in a positive environment. I feel that even though the months of August and September I have produced less unique content than months in the past that these were still successful months for fulfilling the purposes of my blog. I’m looking forward to what October will hold as I settle into a new groove. I appreciate all of your tolerance and continued readership during this period of re-adjustment. This much needed period of rest has renewed my drive to continue chasing dreams and I’m grateful for each and every reader who has continued to support me. Life moves in phases and sometimes we all need a little more rest to catch up on lost time. I’m excited to move on from this point, but am not naive to think that the coming months won’t have demands of their own. Life is all about balance and that’s why I rely so much on Christ and positive influences. Be sure to make rest a priority! Planning is one of the most difficult steps in the writing process for me. Okay, maybe not the actual planning itself, rather the time to plan. I am challenged to find adequate time to set aside to truly plan out where I’m headed whether that be with my blog or some of the other writing projects I am doing on the side. My planning is not super in-depth or detailed due to the lack of time I devote to the planning process. 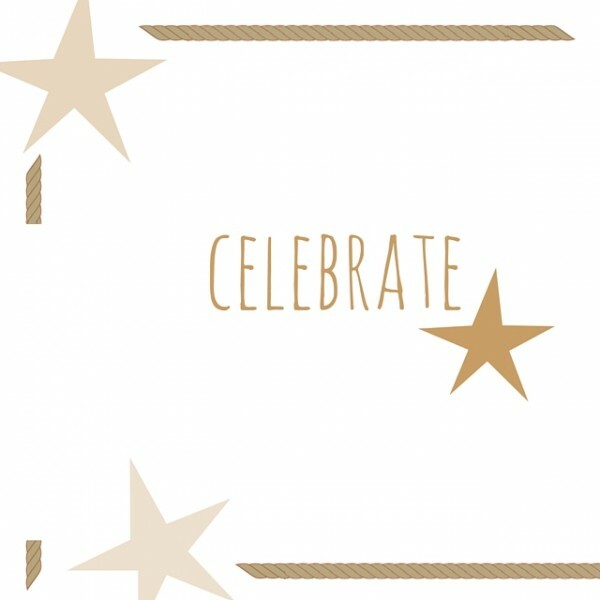 For blogging at the end of each week I write out a plan for posts to be written the following week in my planner from Plum Paper Designs. I outline what I want to write about accompanied by a couple of rough ideas, but generally I don’t articulate too much until the time comes to actually beginning writing each post. With that process, it does allow for a little wiggle room and occassionally my writing will take on a completely different shape than what I had originally intended (which I think can be both a positive and negative thing). With the novel I am currently working on planning has been a little more crucial. Before setting out to write any of it I created a chapter-by-chapter blueprint detailing some of the major events. As the story progresses I’m constantly editing that plan, but I found that having this plan has been very beneficial in giving me purpose each time I sit down to write. I’m nearing the half-way point in the novel and am looking forward to the road ahead. I also found that starting from the climax of the story and working backwards has also helped to shape this story. I guess time will tell how successful that plan actually is. How do you incorporate planning into your writing? This weekend I have a lot to celebrate. Last night the Teays Valley Vikings defeated our rival school, Circleville, in our first league football game of the year. This is the high school where I work and we defeated the high school that I attended as a student. 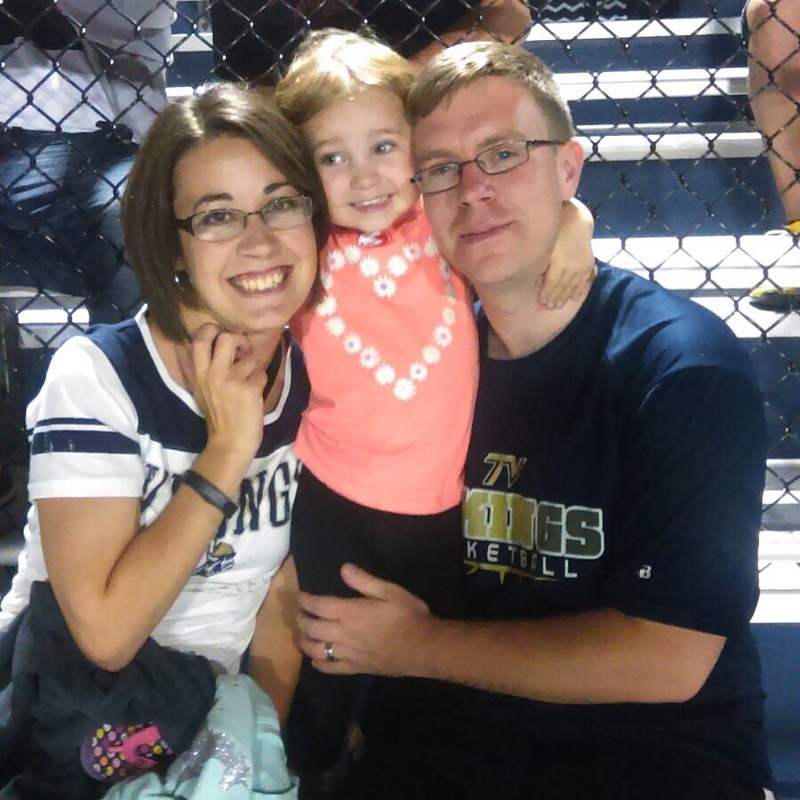 As a family we had an (American) Football Family Night under the stadium lights and enjoyed watching our boys take the W. Go Vikings! Next, I am celebrating the beginning of fall. I love all things pumpkin and I’m super stoked to hang out with my friend, Ashley, today and work on some new fall decor crafting ideas. She’s not a big crafter, but I’m trying to convert her. I’m really looking forward to making a new wreath for my front door while sipping on Pumpkin Spice Lattes. Can I get an AMEN!?! 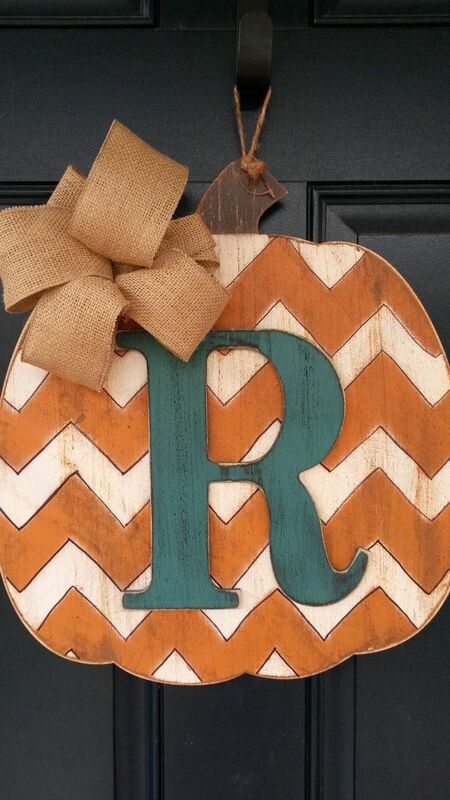 Here’s a look at a project I’d like to complete this weekend from my Pinterest board Fall! Finally, I’m celebrating the weekend. I absolutely love my job and I give 110% every single day and so by the time the weekend rolls around I am in need of some rest and relaxation. This week it seemed like the weekend would never arrive so, hallelujah, it has! Thanks for stopping by to share in my small celebrations today. I hope every one has a wonderful weekend.